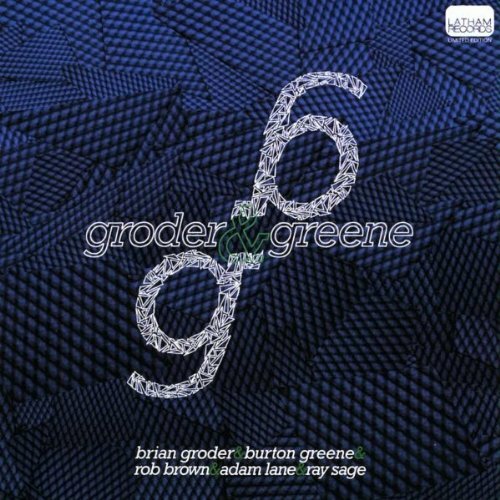 Trumpeter Brian Groder and multi-genrist pianist Burton Greene completed two days of recording with bassist Adam Lane, alto saxophonist Rob Brown and drummer Ray Sage, on Oct 11th and 12th, 2007 at The Studio on Greene Street in New York City. These are the results of those sessions, and if the joy of new discovery you felt the first time you heard great jazz still exists in your body, you’re already listening to this disc. It is the product of decades of work by the two leaders, and several lifetimes of influences. 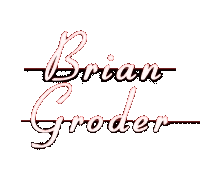 With several swinging, pulsing, beautiful CDs under his artistic belt, Brian Groder’s highest profile recording to date is Torque. Recorded in 2006 and released in ’07, it features music from two sessions in an intimate studio where Brian, drummer Anthony Cole and bassist Doug Mathews squeezed into a closet-sized space with jazz giant Sam Rivers, and the music was hailed around the world. "Just plain stunning... jazz as jazz should be," said radio stations in Australia. The CD hit “Best of” and Top 10 lists for the year in Downbeat and the Washington Post, in Canada, Portugal and online. Groder is a polyglot, speaking one language while still dreaming in another. Free, avant-garde, post- pre- and no-bop, mainstream and outside, Brian embraces the role of “cat” better than almost anyone. Chicago native Burton Greene studied classical piano with the same man who taught David Mamet (with drastically different results). Burton’s recordings of folk music, groundbreaking use of synthesizers (1968’s Presenting Burton Greene was the first time a Moog was used on a jazz record), his explorations of Indian ragas, and several “klezmer jazz” recordings, all give him a firm footing in not having a firm footing, but stepping lightly while adding his world of knowledge to the language of jazz. Like any good klezmer musician, his playing is touched with humanity and humor, and like the great jazz composer he is, the work will always surprise. Greene calls Adam Lane one of his favorite bassists. Adam’s career has been spilt between East coast and West, combining and transforming pure acoustic music with electronics and tape effects, spoken word and psycho-acoustic wizardry. He somehow combines melody and meditation with explosive bursts of free energy. This was the first time playing with Rob Brown for both leaders. Like Brian and Burton (as if it were fated, BG and BG), saxophonist Brown has performed with Cecil Taylor, and recording a staggering number of sessions. Jazz Times called him "A fiercely original voice,” while the Village Voice said, “He not only deciphers puzzles, he creates them," bridging Charlie Parker bebop and swirling avant-garde. “Lower East Side rhythm king” Ray Sage doesn’t wait for bridges; the man leaps into the chasms created by cross-breeding funk grooves, hip-hop asides, prog-rock with balls, and solid jazz rhythms that allow the others to fly when he’s not soaring himself. As a “free” session, almost everything recorded here was a spontaneous creation. Groder explains, “We would discuss the possible form, order of instruments entering and exiting, moods, dynamics and tempos … but there weren't any melodies/lines, chord or specific structures we were reading down.” Like Brian Groder, Burton Greene, Adam Lane, Rob Brown and Ray Sage, the best way to experience this project is to simply listen. Listening to a recording of free jazz is a bit like watching travelers in a busy train terminal. People of all sizes and colors are moving in every direction; some of them are headed out of town, while some are on their way home. What these folks share is the need to get to the platform or the street straight away, and each pace, sidestep and sudden, momentary halt serves this heightened sense of purpose. Before long, what was initially perceived as a formless mass becomes perceptible, if constantly changing currents, carrying people to their destinations. There is no superstructure to it per se; but there is an organic quality that is fascinating to behold. One reason this analogy holds any water lies in the sophistication of free jazz practitioners as travelers, one that extends far beyond the ability to bob and weave through a crowd. It is the acuity that comes from regularly being in transit, the sharpened sense of time and of the changing options each moment brings, that is most pointedly applicable to free jazz. Free jazz is music of, by and for the moment, a navigational, not an architectural endeavor. Certainly, each moment brings formal considerations to the fore; yet, the appropriate response is to deal with them in passing, as the next moment will present more. In doing so, the integrity of free jazz as a method as opposed to a genre is maintained. This adherence to methodology gives free jazz a unique and intriguing projection of form unfolding in real time. Mature practitioners understand the rigor entailed in being responsive, but not over committing to any material. The causeway to the next moment has to remain open, and locking into a phrase or a rhythm may well work against that priority. Without the anticipation of and a clear path to the next moment, free jazz becomes clogged with pastiche. What distinguishes free jazz is not idiomatic references or even flares of virtuosic brilliance, but the conveyance of spontaneous interaction and invention. Free jazz has retained its vitality in large measure because it is resistant to codification theres no fake book for it. This is extraordinary, given that free jazz has now been extensively documented and strenuously scrutinized for approximately a half century, roughly the time span between Stephen Fosters Beautiful Dreamer and Arnold Schoenbergs Pierrot Lunaire. Now in a cusp where early practitioners are collaborating with their beneficiaries, free jazz can reassert its values within a context that gives priority to history or to the moment, which exists beyond the clutches of history. The five musicians gathered for this recording have clearly chosen the latter. This is particularly noteworthy given the presence of pianist Burton Greene, an icon by virtue of his early recordings and membership in the Jazz Composers Guild, and an enigma because of long subsequent stretches off the radar. This album could have easily been about little else other than Greene, and justifiably so. Yet, the imperative of the collective has remained deeply ingrained in Greenes sensibilities, repeatedly manifesting itself throughout the album as keen, ensemble-minded playing. Additionally, the moments that highlight Greene emerge unforced, and eclipse with equal ease. This speaks to the qualities of the contributions by the other four musicians, each a leader in their own right and a substantial contributor to New Yorks free jazz community. Of them, Rob Brown may have the lengthiest CV, but Brian Groder, Adam Lane and Ray Sage are respectively well-credentialed. Greene joins an impressive list of luminaries from their aggregated rsums, including Sam Rivers and John Tchicai. Most importantly, they bring mature voices to the proceedings, their interaction conferring formal properties onto the moment while vaulting the ensemble into the next. Perhaps ironically, the albums sole composition, Greenes Hey Pithy, Can You Thropt the Erectus?, provides fine initial insight into the chemistry of the eight collective pieces that use loosely described rendezvous points . The referenced Mingus composition is a bellwether of faux primitivism in jazz, an erudite projection of the primal, which remains a tenet of free jazz. But, Greenes title and materials also convey time-honored jazz values like whimsy and humor, which yields a contrasting form of banter. Both modes of interaction and the many gradations between them stream through the album. Groder, Greene, Brown, Lane and Sage traverse the partially mapped terrains of the collective pieces, coalescing around a rhythm, a motive or a texture and then peeling off in various directions with agility and occasional grace. They each have a refreshing relationship to jazz vernacular and usage; they dont keep jazz at arms length or within a post-jazz context. Instead, they move jazz along with them. It has an organic quality that is fascinating to hear.